[Seoul, South Korea] The family of Sunny Kim is asking for help in sharing her story. On May 2nd, 2015, the suspect, identified only by his surname, Lee (25), murdered his girlfriend Sunny Kim (26) by strangling her to death in her sleep after she broke up with him earlier that day. 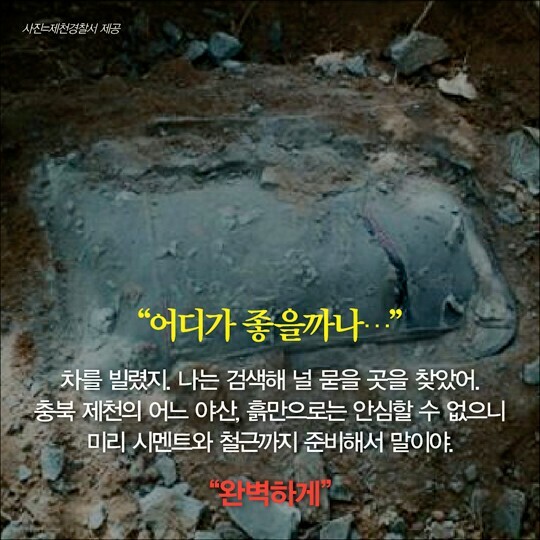 Mr. Lee placed Sunny’s dead body in a wheeled luggage bag, captured on surveillance footage. He then proceeded to drive, body in tow, to a forested area at a nearby hill. He then poured cement and naphthalene over her body to hide the scent of her cadaver and left the scene. Photo of the cemented luggage bag before authorities exhumed Sunny’s body. To avoid suspicion, Mr. Lee impersonated Sunny, using her own cell phone to post on social media and chat with family and friends for weeks. It was only until Sunny’s employer questioned why their newly hired employee had not shown up for work that Mr. Lee’s façade began to unravel. Sunny Kim graduated from the University at Albany (SUNY) in 2011 with a degree in Economics and East Asian Studies. She was working as a professor in Busan, South Korea when she first met Mr. Lee. The two eventually started a relationship. At the same time, Sunny’s family was also wondering where their daughter was, as their family was close and communicated regularly with one another. The family received notice from Sunny’s employer over the breach of contract. Seeing this as uncharacteristic of Sunny, they re-doubled on efforts to contact Sunny. However, Sunny’s family is not convinced that this was a genuine act of guilt or remorse on Mr. Lee’s part. Sunny’s younger brother, Sun-Baek Kim (21), believes that Mr. Lee never really planned to kill himself. Rather, he pretended to do so in an attempt to gain sympathy from the authorities to receive a lesser punishment for his crime. In fact, Sun-baek and his family have gathered multiple pieces of evidence from Sunny’s friends that show Mr. Lee had a long history of abuse towards his sister. The pictures show multiple bruises on Sunny’s face, black eyes, and broken fingers, sustained after attacks by Mr. Lee. All this points to an escalation of violence by Mr. Lee, and not a random act of violence that led to murder. Photos of Mr. Lee’s attacks on Sunny. 100% of the funds raised will go to Sunny’s family to help with funeral and legal expenses.